Peruvian Dom Timbo is a dense, typey, dark silver grey Peruvian male with excellent fleece character. He is a very CONSISTENT producer of grey and black offspring. 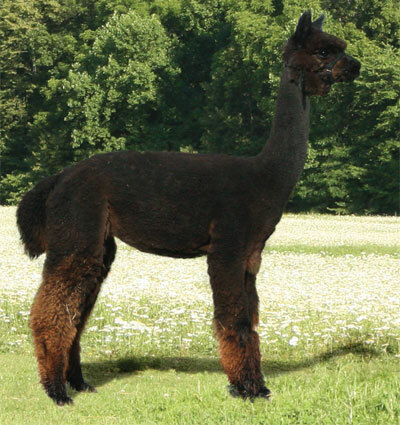 Dom is a pre-potent, proven male who has sired many blue ribbon and multi-champion crias. 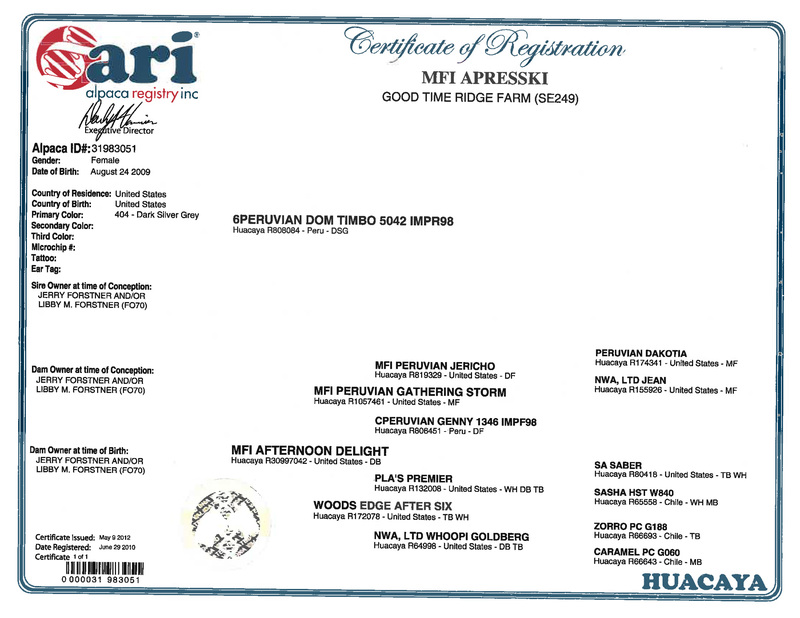 Peruvian Dom Timbo was the very first huacaya male chosen in the 1998 Peruvian import, chosen even BEFORE any Accoyo males included in that import... he is that good! He is a proud, stunning, flashy male and an excellent breeder. His fleece is dense and has a uniform crimp, characteristics exceedingly rare in grey alpacas. As a side note, he is without a doubt one of the smartest alpacas we have ever encountered and seems to delight in playing tricks on his human friends. This gorgeous daughter of 6Peruvian Dom Timbo is a modern silver grey. She exhibits an excellent phenotype and a beautiful fleece with lots of tight crimp and a soft hand, not surprising with sires like Dom Timbo, Jericho and Gathering Storm in her pedigree! After Six, a wonderful black female now owned by A.S.K. Alpaca Farm. If we had kept Apresski, we would have bred her to multiple champion LMFI Peruvian Sky King, co-owned by Libby and M & M Alpacas! Sky King’s grey fleece is dense with high-amplitude, high-frequency crimp and would be an awesome breeding choice. Apresski sells with a free breeding to any solely-owned, unrestricted Good Time Ridge Farm herdsire, with the inclusion of Snowmass Artic Blue offered as an alternative!